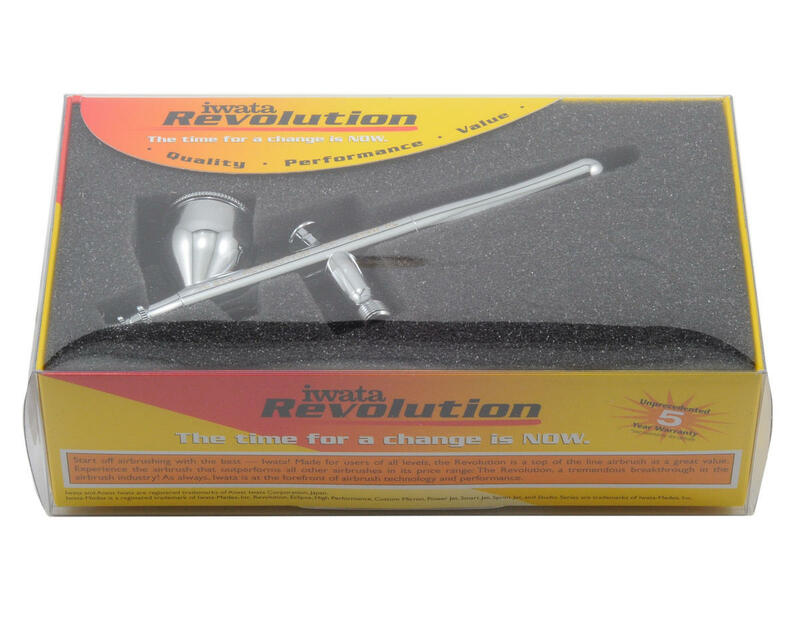 This is the Iwata HP-CR Revolution, dual action, gravity feed airbrush. 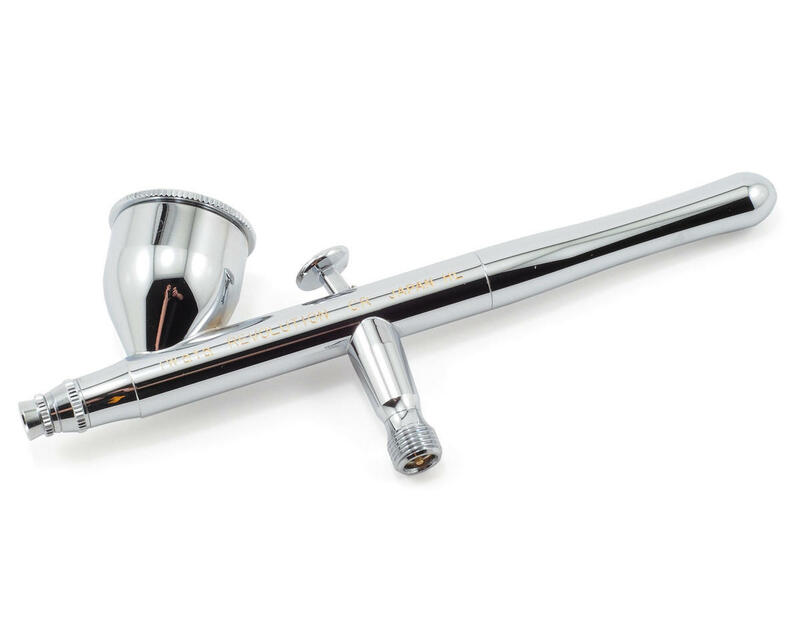 Start off airbrushing with the industry leader - Iwata. Made for users at all levels, this top-of-the-line Revolution Series brush is a great value. With breakthrough technology and performance, this airbrush outperforms all others in its price range. Its features include: an internal mix airbrush; ergonomic handle design; fine detail to 1-1/2” spray pattern; larger nozzle and needle combination (0.5-mm) that makes for easier spraying of thicker or heavier paints; redesigned trigger mechanism and larger needle-chucking nut for easy assembly; and replaceable internal PTFE needle packing for use with solvent-based paints. Changed my life it is that good. Entry level brush, only one nozzle size and does not have a stopper on the paint release (trigger pull back), so requires touch. I really did not know how poor quality my previous instruments were until i got this one. wow. life is so much easier now. Not ideal for very fine work, but great as a general air brush.